Neurofeedback is a method that is aimed at ‘training’ a person’s brain activity to improve brain functioning. It works to balance a person’s brain activity and bring it to a normal level. While previous studies showed mixed results and responses, a new one suggests that it is time to take a closer look at neurofeedback to treat ADHD. Neurofeedback works to address brain patterns. The idea is that each person has a number of different brain wave patterns, which vary depending on their mental state at the time. By using an electroencephalogram (EEG), these patterns can be measured and recorded. What it means is that a neurofeedback practitioner is able to construct a ‘map’ of sorts that represents your brain activity. For people who have ADHD, they may be using more of one kind of brain activity when they need to use another. For example, it may mean a person is not focusing and instead, they are daydreaming. Through multiple sessions, a practitioner shows the person with ADHD how to control brain activity. The hope is that a person can function more optimally once they have better control over their brain activity and how they behave as a result. For this reason, it is generally used to help people with mental health disorders or learning disabilities. Older studies on people who have ADHD suggested it may be able to help but there has been a lot of debate and controversy over its use for ADHD. A new study from last year, however, found it very effective in ADHD. Also known as EEG biofeedback, neurofeedback works to either suppress or produce brain activity, depending on the needs of the person. It is used in many disorders but much of the criticism and controversy is surrounding its efficacy. 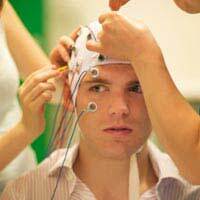 Neurofeedback can be challenging to assess in terms of scientific studies and evidence. This recent study, however, is a more robust one that gives further credence to its use in those who have ADHD. Researchers conducted a meta-analysis of fifteen studies and more than a thousand ADHD patients. They concluded that neurofeedback could be recommended as an evidence-based approach in treating people who struggle with ADHD. In particular, they found that after looking at all of these studies, neurofeedback treatment shows significant promise for its use in the focusing and inattention problems associated with ADHD. It also helps to reduce impulsive behaviours. The researchers do warn that their findings show that neurofeedback can only be considered an evidence-based treatment for those who have ADHD. It is not necessarily an evidence-based treatment for other disorders. Each disorder has to be assessed separately. If you suffer from ADHD and are interested to try neurofeedback, it is important that you choose someone who is educated and experienced. You should check credentials and ask for references and details of experience. Any memberships to professional associations are also important to support the authenticity of a neurofeedback practitioner. Based on this recent study, you will hopefully find that neurofeedback helps you manage your ADHD and reduce its symptoms.